Not every ugly duckling becomes a swan . . . In the wake of the disastrous attack on the Golden City, Lady Light Spinner has become Grand Sorceress and Elaine, the Bookworm, has been settling into her positions as Head Librarian and Privy Councillor. But any hope of vanishing into her books is negated when a new magician of staggering power appears in the city, one whose abilities seem to defy the known laws of magic. Johan is a Powerless, a person born to a magical family yet lacking powers of his own. His dreams of a better life are curbed by his family, who see him as a cripple at best and a burden at worst. But when a political protest goes horrifically wrong, Johan discovers that his true powers have merely been buried, waiting for their chance to explode into the world. As he comes to grips with his newfound talents, he discovers that he finally has a chance to realize his ambitions . . . But for the Golden City, reeling after the devastation of six months earlier, he may be the greatest threat the city has ever seen. Elaine must unlock the mystery behind his powers before the political factions can kill him . . . or use him to unleash a nightmare. 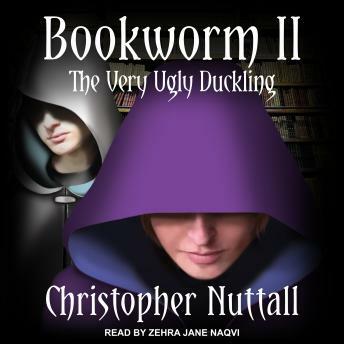 Returning to well-loved characters from Christopher Nuttall's bestselling Bookworm and introducing new ones, Bookworm II: The Very Ugly Duckling explores power-and the effect it has on the human mind.